Advice and preparation of Shorthold and Assured Tenancy Agreements and Contractual Tenancy Agreements (outside the Housing Act) and preparation and service of Housing Act Notices to be served prior to court action. Issuing and defending repossession proceedings. Pursuing remedies for breach of repairing obligations under Tenancy Agreements or with regard to long Leases. Preparation of Leasehold Notices, breach of covenant to repair under Section 146 of the Law of Property Act 1925 and rights of forfeiture and damages. 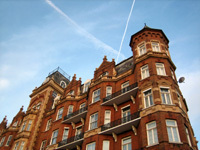 Leasehold enfranchisement and rights of Lessees to purchase the freehold of their building and to extend the terms of their Leases. Please call us to discuss your matter and we would be pleased to advise you and arrange an initial consultation at a minimal cost and so that we may decide upon options that are available to you.